They were complete opposites, Ashley says; she, quiet and reserved, and he, talkative and outgoing. Nevertheless the pair became friends, studying and working together before eventually things turned romantic. Kyle popped the question on Christmas Day 2017, while they were opening gifts with family. "There he was on one knee among a sea of wrapping paper," recalls Ashley, "I'll remember it forever." 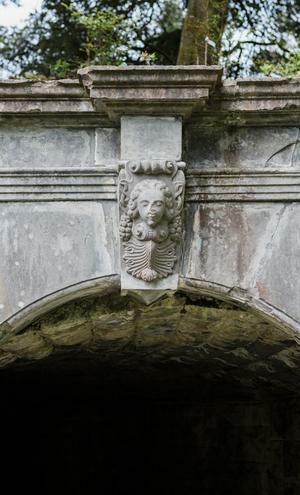 Since they began dating, the Texas-natives had often talked about visiting Ireland for a holiday. 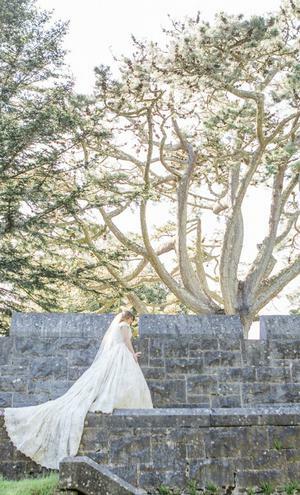 Slowly however the Emerald Isle became their dream wedding destination. 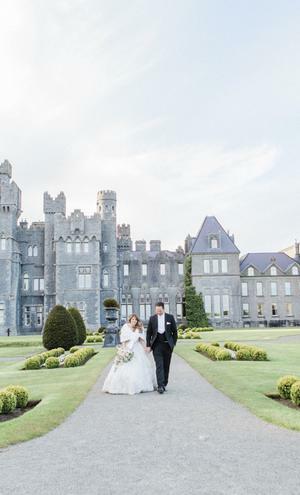 Keen to elope, but not wanting to leave their family behind, Ashley and Kyle came up with a compromise - they would head to Ireland 'on holidays' with ten of their close family members, and squeeze in a wedding while they were here. 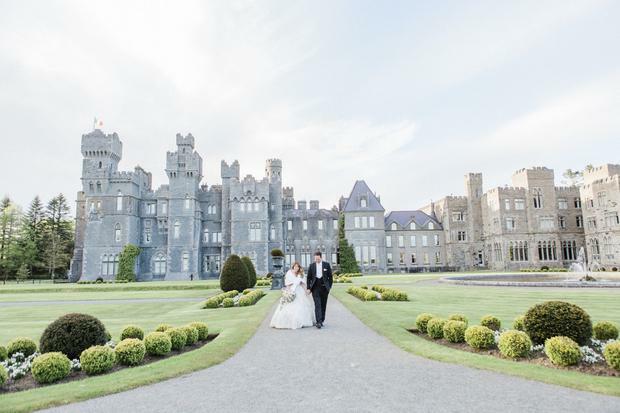 Before any dates were saved however, Ashley and her mother embarked on a wedding venue recce to Ireland where they visited some of the country's most beautiful castles - six in total - before eventually settling on Ashford Castle in Co. Mayo for the big day. 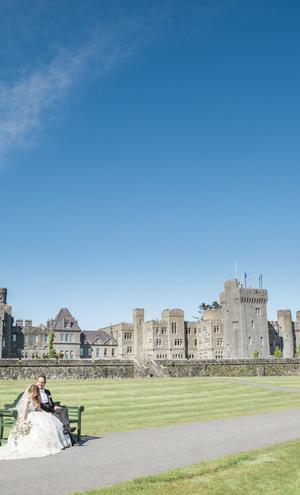 "We met wonderful people and had amazing food," says Ashley, "but after spending one night in Ashford Castle I knew it was the one. 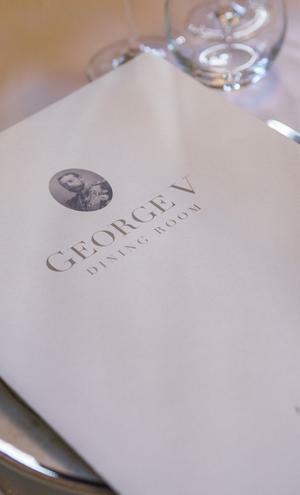 The atmosphere is unique, elegant and makes you feel like you stepped back in time to old world perfection." 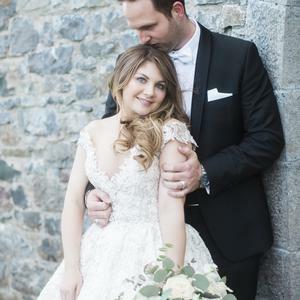 The couple enlisted the help of wedding planners Waterlily Weddings for the day, which was documented by Wim Vanhengel of In Love Photography. 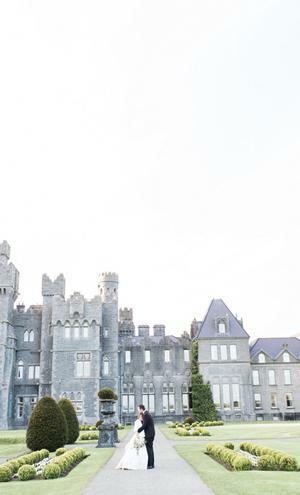 Living in the US and tying the knot in Ireland, planning the big day was a little different for Kyle and Ashley. 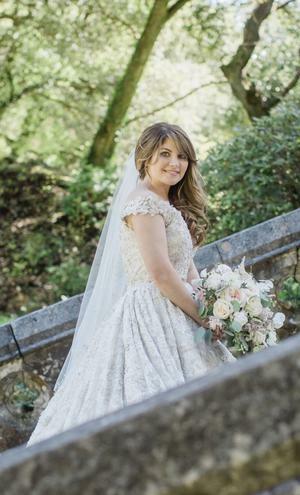 "I was nervous planning a wedding completely via email," explains the bride, "because the vision that you have is hard enough to explain and create when you can pick items out in person, so I was not sure what the day would bring." 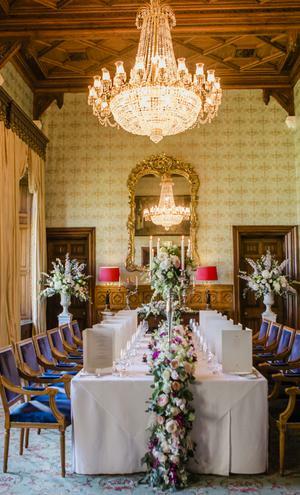 The couple enlisted the help of Waterlily Weddings to help with the day, while the pair themselves talked through the details during little breaks from work! 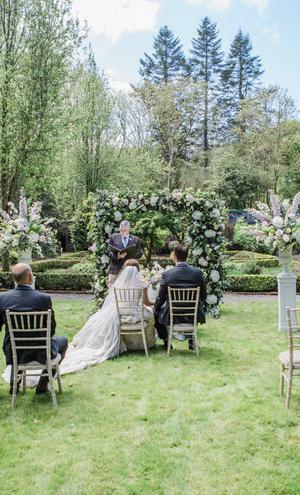 "Every detail from the ceremony, to the flowers, cake and music that Kyle and I picked after late nights of call in the hospital was a perfect representation of who we are and what we like," Ashley explains. 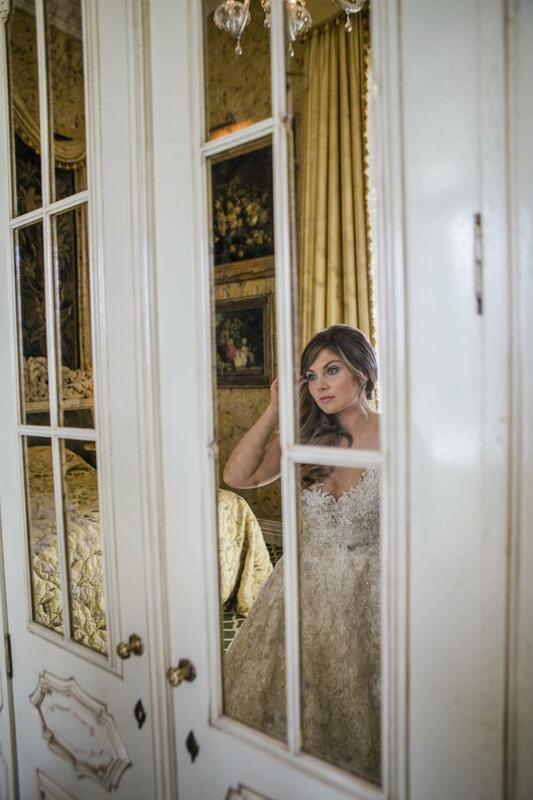 "The wonderful vendors were able to bring our vision to life even better than we hoped. It was truly amazing - and Ashford was absolutely wonderful!" 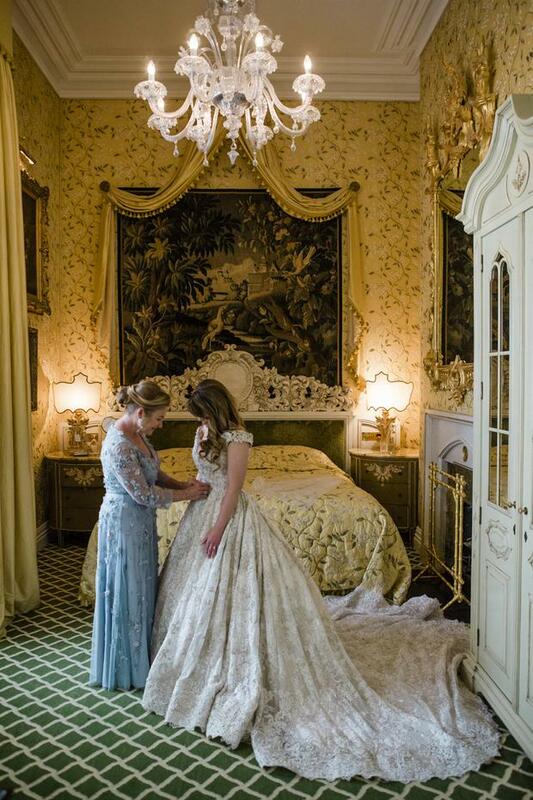 In-keeping with the grandeur of her surroundings for the day, Ashley went with a glamorous ballgown by New York based Japanese design house Ysa Makino which she purchased in California. The dress featured a deep sheer v-neckline, balanced with a dramatic train and delicate off-the-shoulder sleeves. Groom Kyle opted for a traditional black tie suit and horseshoe waistcoat, which he found in Martin Feeney Formalwear in Galway. Kyle wore a white bowtie, while family members contrasted in black. 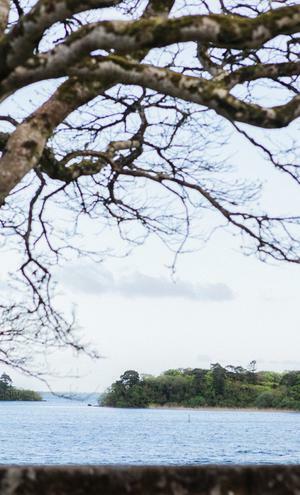 "We chose to get married in Ireland," Ashley explains, "because it was a place we had talked about visiting for the past nine years as a vacation destination and it slowly became our dream wedding destination. "We wanted a small intimate wedding with immediate family only - sort of a family vacation where we happened to get married. We had ten people plus us. 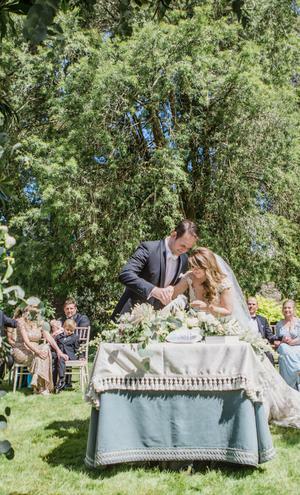 "Our wedding was absolutely perfect for us. 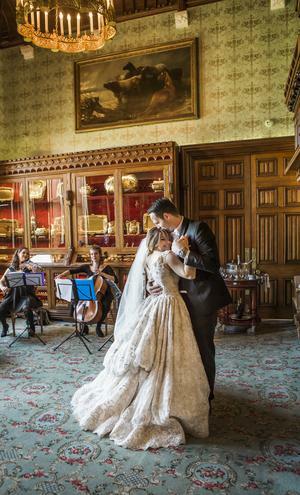 It was intimate, elegant, bright and we wouldn’t have changed a thing."